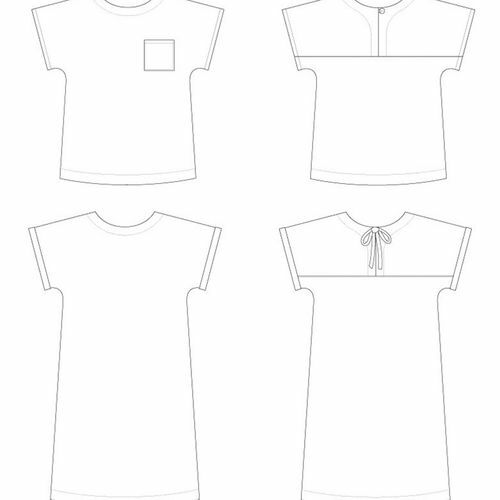 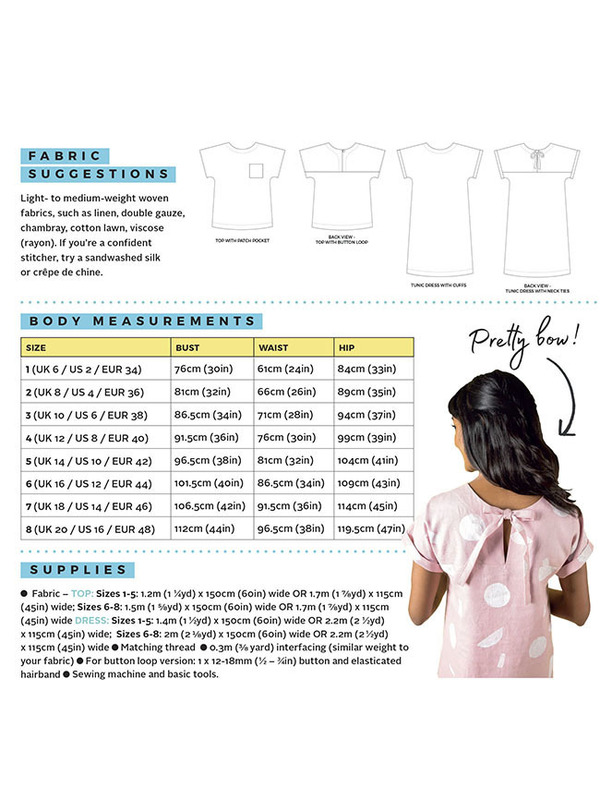 FABRIC SUGGESTIONS - Light- to medium-weight woven fabrics, such as linen, double gauze, chambray, cotton lawn, viscose (rayon). 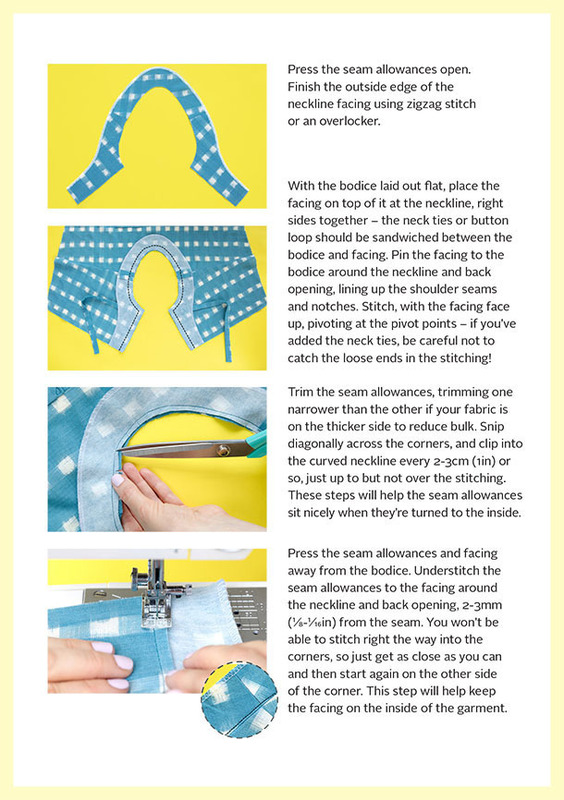 If you're a confident stitcher, try a sandwashed silk or crêpe de chine. 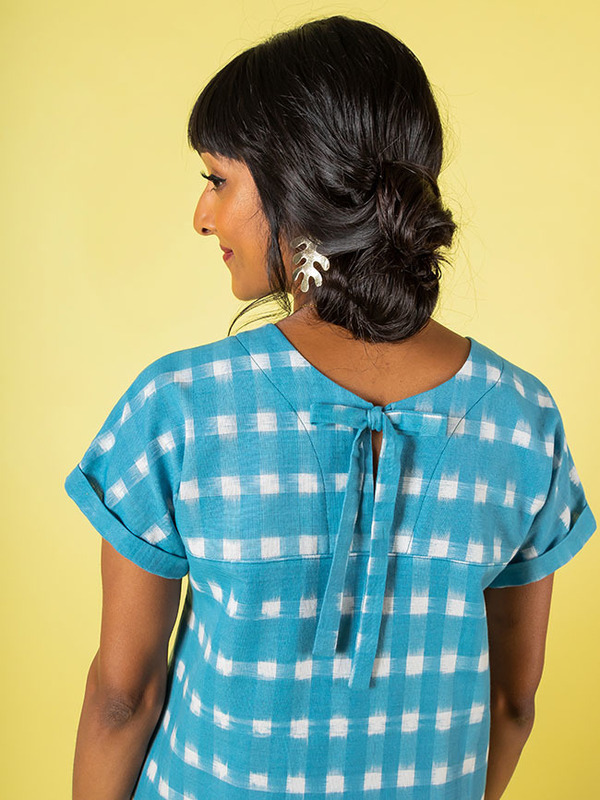 Stevie is an easy-fitting modern tunic with round neckline and kimono sleeves, closing at the back with a button loop or neck ties. 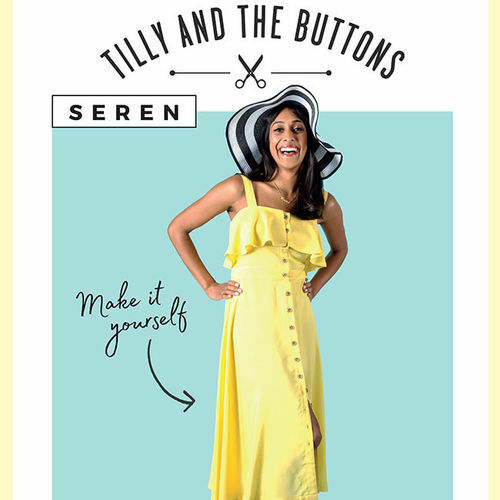 Choose from top or above-the-knee dress length, with optional patch pocket and narrow turn-up cuffs. 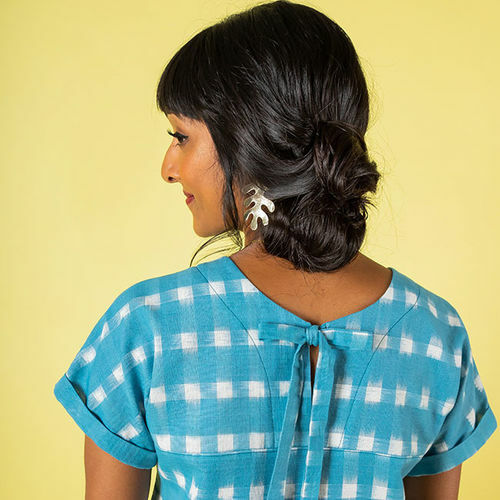 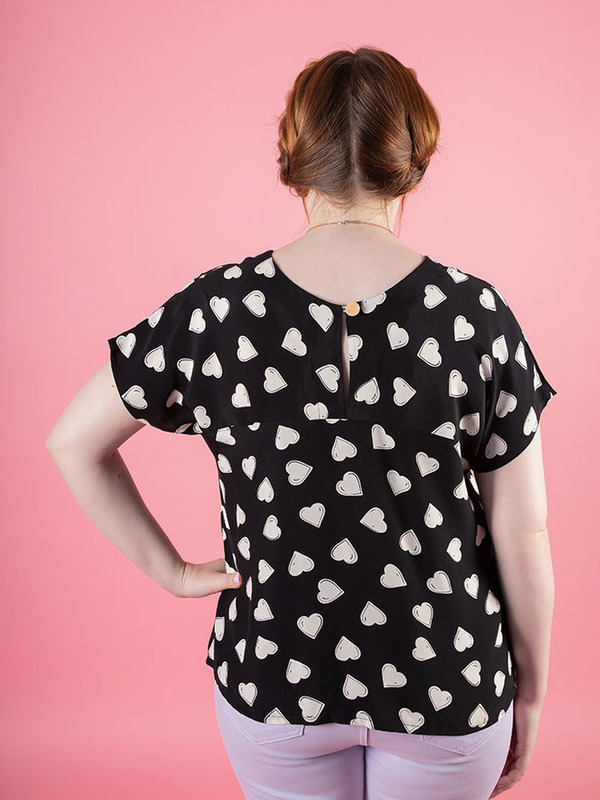 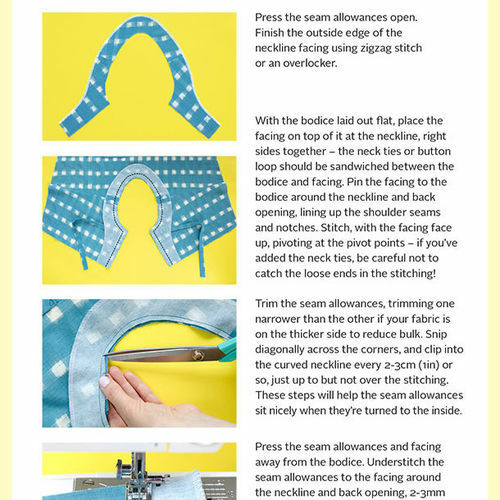 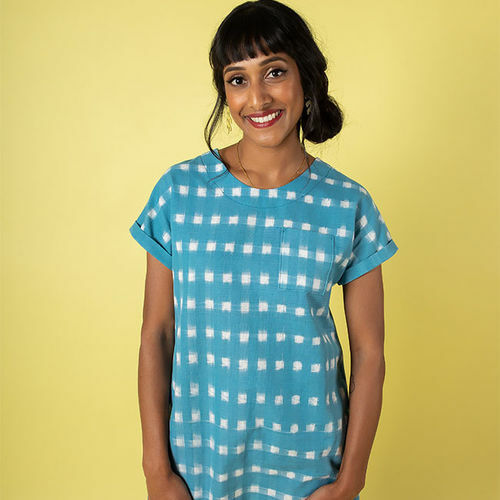 Easy to make, with no darts, fiddly fastenings or set-in sleeves, this is a great project for sewing newbies, or a satisfying speedy sew for more experienced stitchers. 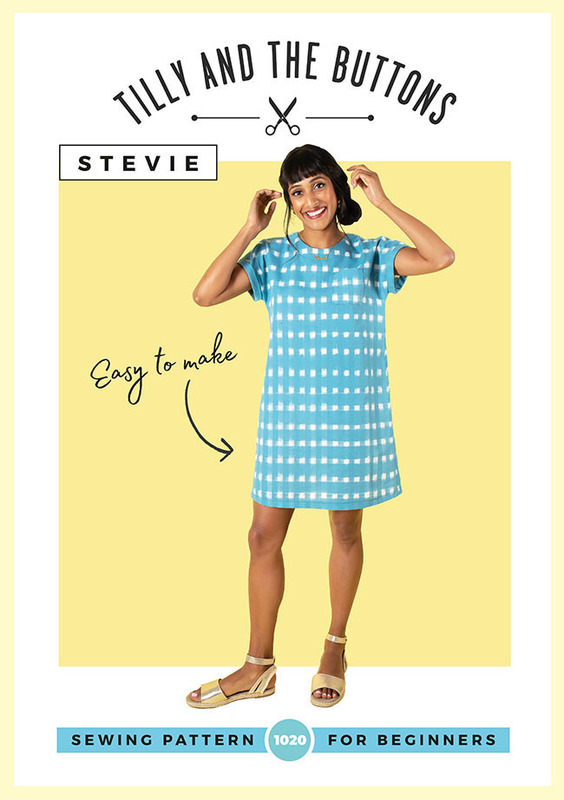 Throw your Stevie tunic on with sandals and a statement necklace in the Summer, or layer over a stripey top and tights in the cooler months. 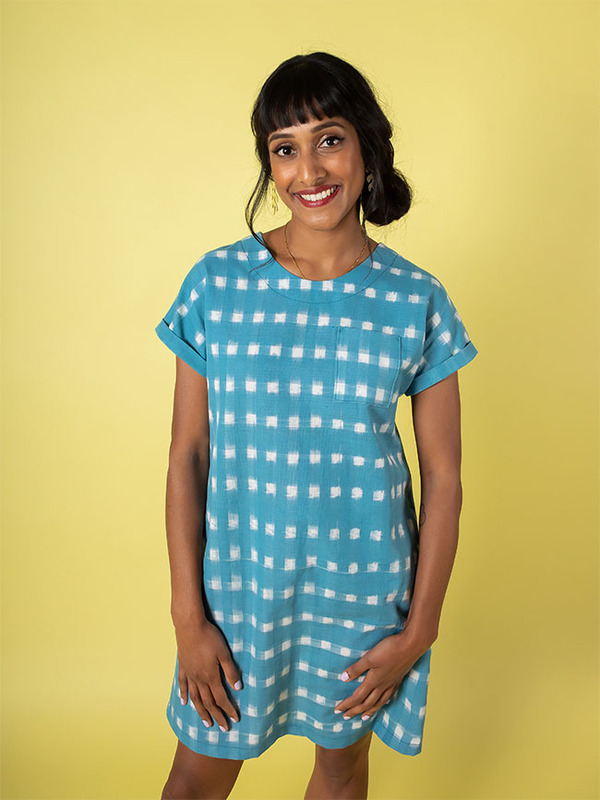 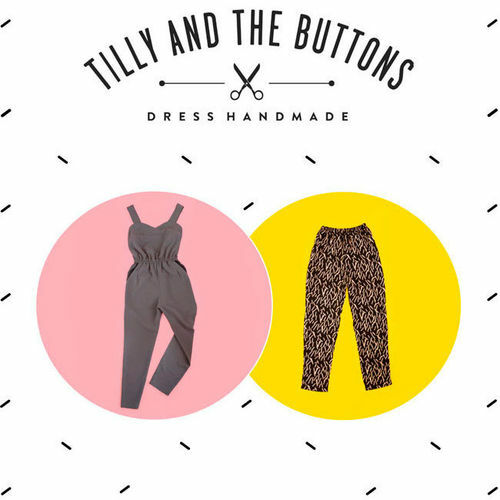 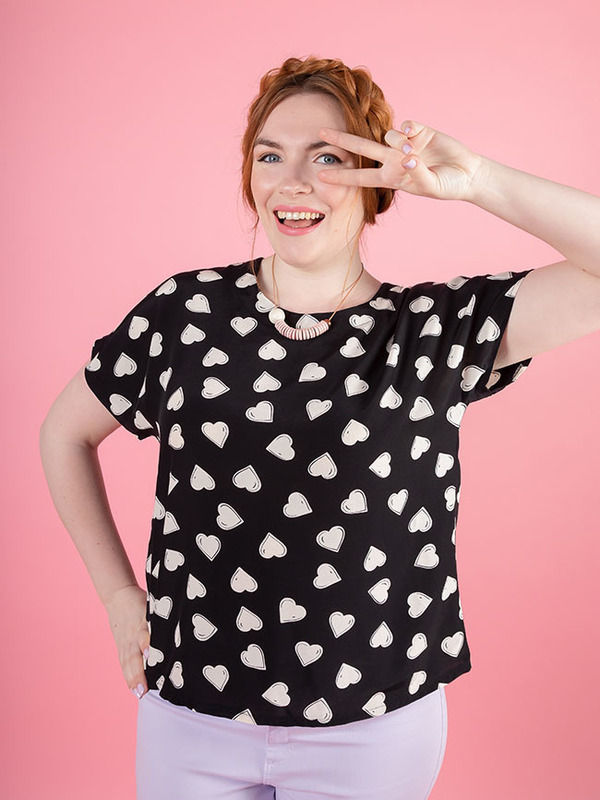 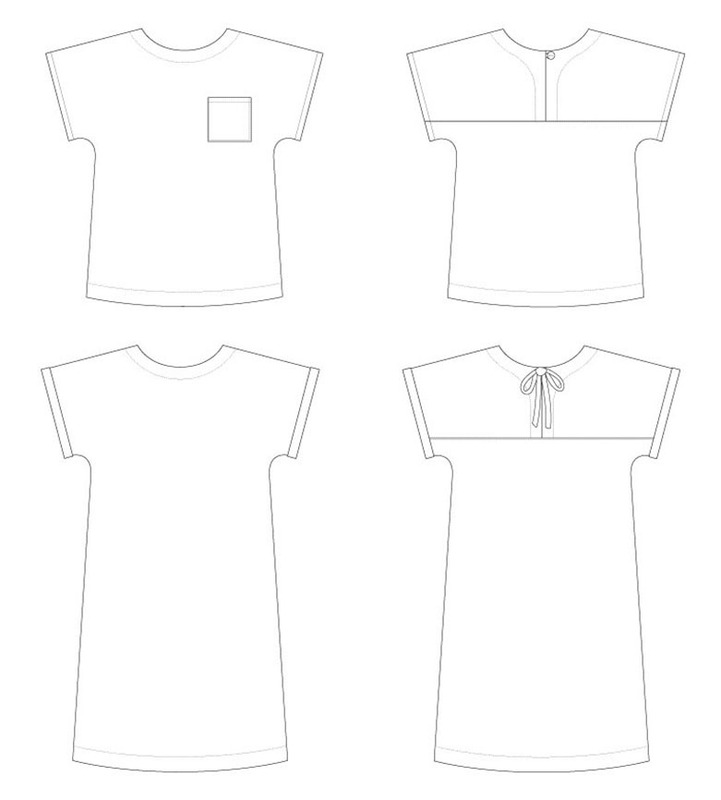 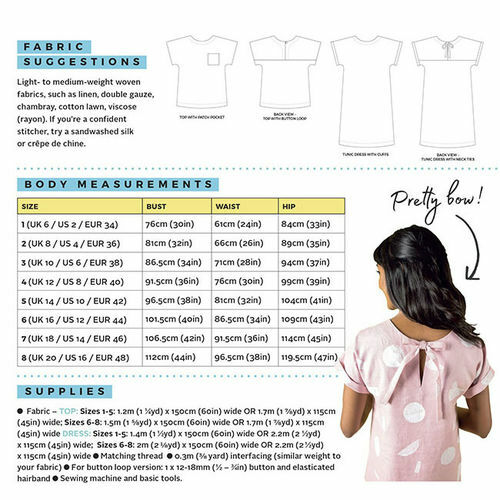 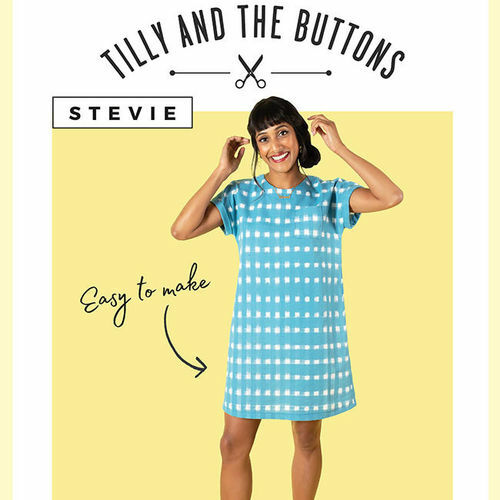 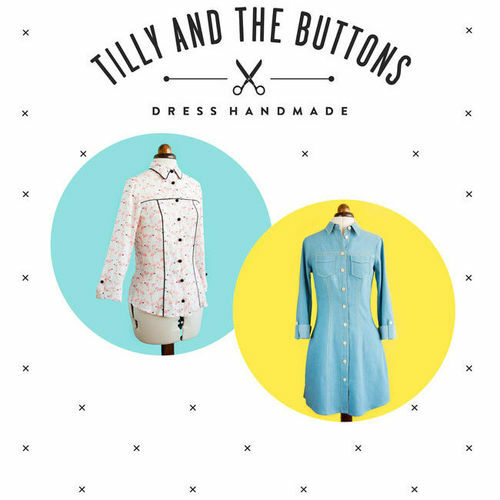 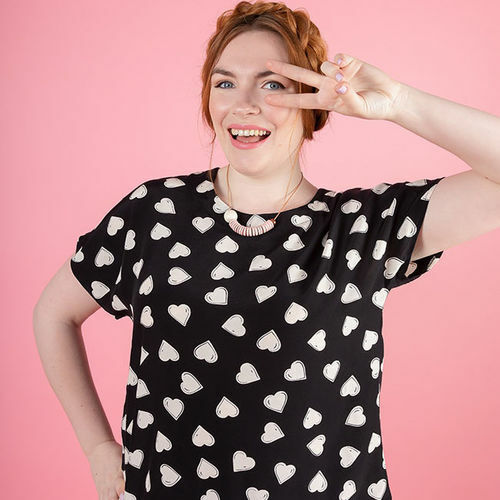 Like all Tilly and the Buttons sewing patterns, Stevie includes jargon-busting instructions, helpful sewing tips, and colour photos showing you each step - making it easy for you to create gorgeous clothes you can be proud to say you made yourself.